BlackBerry Theme Studio v6.0 is the next generation of the BlackBerry smartphone themes and animated graphics software, originally known as the Plazmic® Content Developer's Kit. 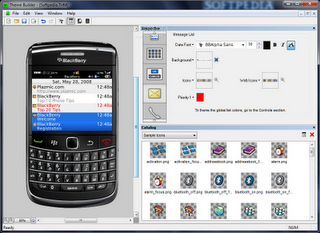 Producing custom smartphone themes and Scalable Vector Graphics (SVG) content is easy with BlackBerry Theme Studio. You can use existing Adobe® Flash® and Adobe Photoshop® files, test and debug your themes and graphics with simulators and work with an easy-to-use graphic interface. 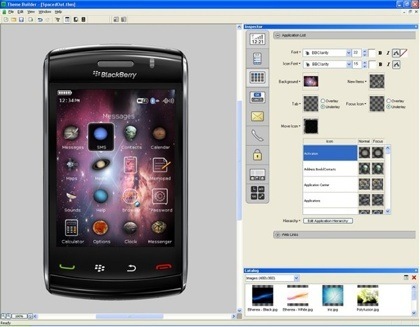 With BlackBerry Theme Studio v6.0, an improved user interface makes it easier for both new and current users to create themes. Users can directly manipulate theme elements in the preview screen and select multiple elements and change them with a single click. BlackBerry Theme Studio v6.0 also adds a Background Wizard for creating dynamic wallpapers, automatic updating of theme graphics and fonts, and easy export for posting themes on BlackBerry App World™. 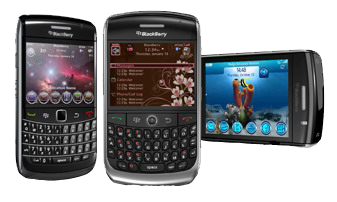 It also supports the latest BlackBerry smartphones, including the BlackBerry® Torch™ 9800 and BlackBerry® Style™ 9670 smartphones, and the BlackBerry® 6 OS.